Temperature control is a critical factor for reactor vessels in the refining and chemicals industry. The catalysts that convert the process oil in these reactors work best in very specific temperature ranges, and too high or too low a temperature can have a noticeable impact on production, as well as on the lifespan of the expensive catalysts. Given the importance of temperature control on refinery and petrochemical processes, industry leaders constantly seek innovative temperature measurement solutions. Gayesco International, which formally became a part of the WIKA Group in 2012, has worked closely with the refining and chemical industry for more than five decades. That’s why more than 4,000 pressure vessels worldwide feature customized Gayesco Flex-R® multipoint thermocouple assemblies. These temperature solutions are well-known for their remarkable longevity, and the two- to three-decade lifespan of these robust systems leads to cost savings and operational synergies that can add up to tens of millions of dollars. Obviously, needing to replace an expensive multipoint temperature system only every 25–30 years leads to major cost savings. (Other multipoint systems often last only 10–15 years.) That being said, the overall financial savings with the Gayesco Flex-R® are actually much more than just the cost of replacement hardware. Not having to replace measurement systems means not having to shut down a reactor or to extend the downtime of a planned maintenance shut down. Avoiding downtime definitely boosts the bottom line. Gayesco Flex-R® systems are designed so that all of the points can be verified post-installation. This means that you can verify the accuracy of your thermocouples at specific intervals – for example, during catalyst change-outs (typically around four years). Keep in mind that thermocouples typically begin to lose accuracy after 10 to 15 years. With the Gayesco Flex-R® multipoint solution, this is not a big deal. Given that you carefully monitor your points with a verification every four years, you can work proactively to extend the lifetime of a thermocouple or even swap out a less accurate one with an in-spec device at critical measuring points. Other multipoint temperature measurement do not allow for thermocouples to be verified post-installation. At some point, you must either pull out the whole installation for verification or simply plan to replace the system every 10–15 years. Either way, you are looking at significant downtime that could be avoided by using a system with greater flexibility and a longer lifespan. More accurate temperature measurement leads to improved process efficiency and a higher product yield. 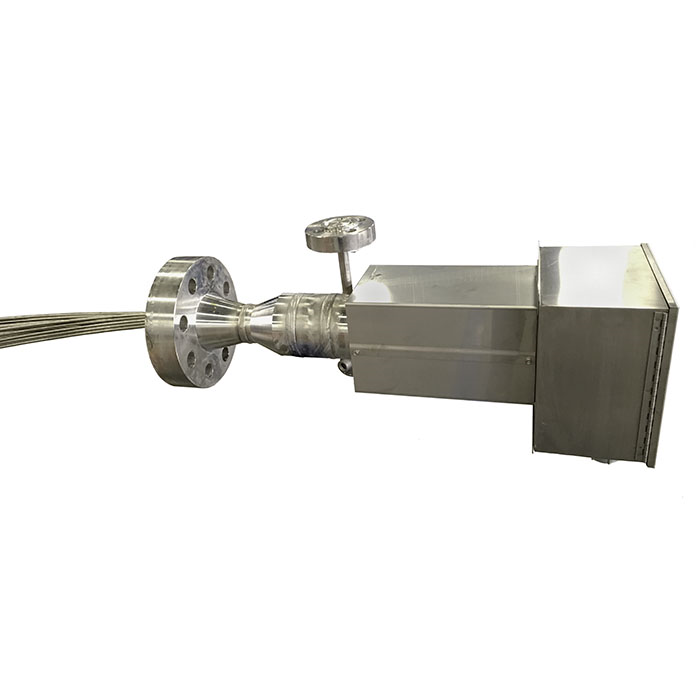 The Gayesco Flex-R® provides accurate readings for decades, and the distribution of the measuring points throughout the vessel means any problem areas that develop in the catalyst bed can be quickly identified and fixed. With this multipoint system, you can count on decades of reliable, accurate temperature measurement. Moreover, the user-friendly design means you can verify the accuracy of your points during catalyst change-outs on a four-year cycle and “retune” as required. Then you’re set for another four years. Let the experts at WIKA USA walk you through all the benefits and cost savings you can expect over the next decades when you choose the Gayesco Flex-R® solution for your pressure vessel measurement needs.